Now I know these are so late going up. However, since our consciousnesses have been focused on being "frugal" lately, I thought this would be something you could all drool over and enjoy without spending any money. 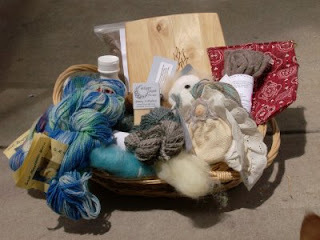 I won the Door Prize Basket! Wow, it is fabulous! 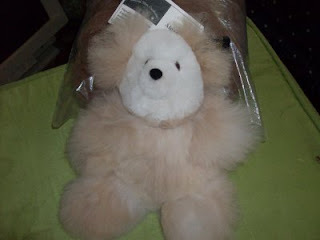 A sweet Alpaca bear from Natural Fiber Creations -Enchanted Sky Alpacas. 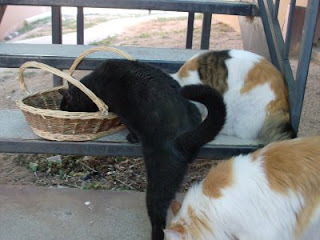 A wonderful basket - the kitties Had to inspect it. 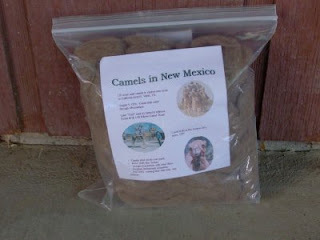 Beautiful, yummy camel down from Bev & Bill's Camel-Lot Ranch in Sandia Park, NM. 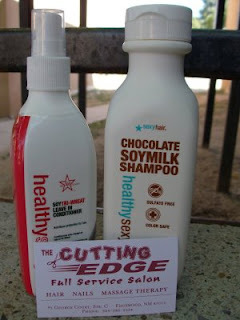 Wonderful Goodies from The Cutting Edge salon.